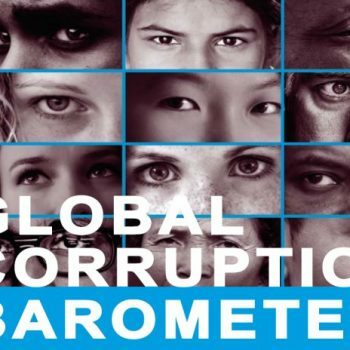 Transparency International’s Global Corruption Barometer is a world-wide public opinion survey which focuses on the citizens’ experiences with corruption. 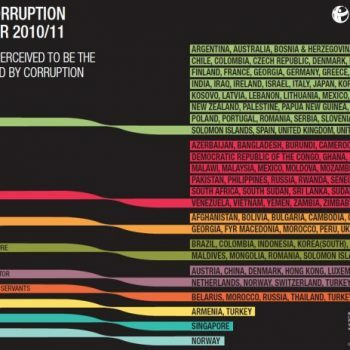 The survey results show how corruption affects people, and lists the efforts made around the world to battle corruption. The barometer contains a number of questions in connection with corruption, such as: “Which institution do you perceive as the most corrupt?” or “How would you rate the efficiency of the government’s anti-corruption measures?” Furthermore, the survey also focuses on citizens’ experiences with bribery, and investigates how often they pay bribes at various public institutions. The Barometer also asked the general public about the extent to which the individual would fight against corruption. The questions vary from survey to survey. Some questions are repeated, while others are left out to ensure that the data is comparable. Therefore, the Barometer gives a general picture of people’s opinion about corruption and their experiences related to this phenomenon in the form of empirical data. The survey is important for decision-makers, who thus get a more accurate picture about which public institutions and public services should undergo changes, and about those social classes which are the most exposed to bribery. This information is indispensable for further research. It is also useful for the members of civil society, for researchers and for anti-corruption organizations and journalists, as well. It is also essential because it contributes to raising the anti-corruption awareness of the general public.